Spartacus BlogBlackadder in the classroom? Should history teachers use Blackadder in the classroom? The Education Secretary says it is time to listen to historians such as Margaret Macmillan who has “demonstrated how those who fought were not dupes but conscious believers in king and country, committed to defending the western liberal order”. Gove then goes on to attack Professor Sir Richard Evans, the Cambridge historian by claiming that he has argued that “the men who enlisted in 1914 may have thought they were fighting for civilisation, for a better world, a war to end all wars, a war to defend freedom: they were wrong”. Just to make sure that The Daily Mail readers will support his argument about Evans, he points out that he also writes for The Guardian. Of course it is possible to agree with both Richard Evans and Margaret Macmillan (although Macmillan was quick to point out that she does not agree with Gove’s analysis of the First World War). There is no doubt that most of the men who joined the British armed forces in the weeks following the outbreak of war were “believers in king and country”. This idea is reinforced by reading the letters that they wrote to their loved ones during the early stages of the war. There is also some evidence that junior officers who had come straight from public school thought they were “defending the western liberal order” if Gove means by that our system of parliamentary democracy. However, that does not make Richard Evans wrong by claiming that “the men who enlisted in 1914 may have thought they were fighting for civilisation, for a better world, a war to end all wars, a war to defend freedom: they were wrong”. Despite what the politicians told them at the time, it was clearly not “a war to end all wars”. It is Gove who is trying to perpetuate a myth by claiming this was a war between “militarism and democracy”. If Michael Gove took time to read some history books that deal with this issue he would discover that Germany had a more comprehensive democracy than Britain in 1914. All adult men in Germany had the vote whereas after the 1884 Reform Act about 40% of adult men in the UK were still without the vote. All adult men in the UK did not get the vote till 1918. It was one of the rewards given to them for fighting in the war. Nor was Germany any more militaristic than the UK. The root cause of the conflict was Germany’s desire to have an empire as large as the one enjoyed by the British. The left in Germany opposed this objective. The Social Democratic Party in Germany, like the Labour Party in Britain, were opposed to imperialist wars. In 1907 Karl Liebknecht published Militarism and Anti-Militarism. In the book he argued: "Capitalism, of course, like every other class-divided social order, develops its own special variety of militarism; for militarism is by its very essence a means to an end, or to several ends, which differ according to the kind of social order in question and which can be attained according to this difference in different ways. This comes out not only in military organization, but also in the other features of militarism which manifest themselves when it carries out its tasks. The capitalist stage of development is best met with an army based on universal military service, an army which, though it is based on the people, is not a people’s army but an army hostile to the people, or at least one which is being built up in that direction." Liebknecht then went on to argue why the socialist movement should concentrate on persuading young people to adopt the philosophy of anti-militarism: "Here is a great field full of the best hopes of the working-class, almost incalculable in its potential, whose cultivation must not at any cost wait upon the conversion of the backward sections of the adult proletariat. It is of course easier to influence the children of politically educated parents, but this does not mean that it is not possible, indeed a duty, to set to work also on the more difficult section of the proletarian youth. The need for agitation among young people is therefore beyond doubt. And since this agitation must operate with fundamentally different methods – in accordance with its object, that is, with the different conditions of life, the different level of understanding, the different interests and the different character of young people – it follows that it must be of a special character, that it must take a special place alongside the general work of agitation, and that it would be sensible to put it, at least to a certain degree, in the hands of special organizations." To support his argument that Britain was defending the “western liberal order” Gove stresses that the country went to war against Germany after the invasion of Belgium on 4th August 1914. In reality, we entered the conflict because Germany declared war on Russia on 1st August 1914. This was as a result of the 1907 agreement where Britain joined France and Russia to form the Triple Entente. Of course, it is not convenient for those who wish to portray the war as a “defence of the western liberal order” to acknowledge that our chief ally in the war, Russia, was a despotic dictatorship. Gove attacks left-wing historians and popular television programmes for developing the myth that the war was fought by “lions led by donkeys”. This is of course not just a left-wing interpretation. The phrase was first popularised by Alan Clark in his 1961 book on the First World War, The Donkeys. Clark was later to become a Conservative MP and a minister under Margaret Thatcher. Sheffield therefore agrees with the critics of General Douglas Haig that he “was too profligate with lives” but as far as he is concerned it was justifiable because ultimately we won the war. His comments about the reason for victory is debateable (I would say it had a lot more to do with the arrival of the Americans in 1917) but it is clear that Sheffield is unwilling to consider the morality of the tactics used by Haig. There is nothing new about Sheffield’s arguments. The Haig family commissioned Duff Cooper, the Tory MP, to write his biography. 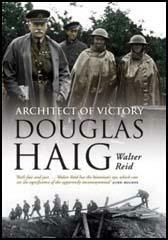 The book made an attempt to defend the tactics employed by Haig on the Western Front. As Cooper's biographer, Philip Ziegler, points out: "The executors of Earl Haig's estate were inspired by it (his biography of Talleyrand) to invite Cooper to take on the official biography of the field marshal. The assignment was financially rewarding but not suited to Cooper's talents; when it appeared in two volumes in 1935 and 1936 it was widely criticized for being inadequately considered and being biased in favour of its subject." One of Haig’s staunchest critics was David Lloyd George, who was prime minister during the war. In his War Memoirs (1938) he argued: "It is not too much to say that when the Great War broke out our Generals had the most important lessons of their art to learn. Before they began they had much to unlearn. Their brains were cluttered with useless lumber, packed in every niche and corner. Some of it was never cleared out to the end of the War. They knew nothing except by hearsay about the actual fighting of a battle under modern conditions. 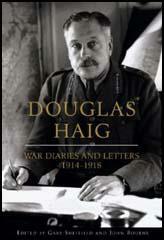 Haig ordered many bloody battles in this War. He only took part in two. He never even saw the ground on which his greatest battles were fought, either before or during the fight. The tale of these battles constitutes a trilogy, illustrating the unquestionable heroism that will never accept defeat and the inexhaustible vanity that will never admit a mistake." Captain Charles Hudson was one of those officers who took part in the Battle of the Somme. He later wrote: "It is difficult to see how Haig, as Commander-in-Chief living in the atmosphere he did, so divorced from the fighting troops, could fulfil the tremendous task that was laid upon him effectively. I did not believe then, and I do not believe now that the enormous casualties were justified. Throughout the war huge bombardments failed again and again yet we persisted in employing the same hopeless method of attack. Many other methods were possible, some were in fact used but only half-heartedly." Montgomery points out: “There is a story of Sir Douglas Haig's Chief of Staff who was to return to England after the heavy fighting during the winter of 1917-18 on the Passchendaele front. Before leaving he said he would like to visit the Passchendaele Ridge and see the country. When he saw the mud and the ghastly conditions under which the soldiers had fought and died, he was horrified and said: ‘Do you mean to tell me that the soldiers had to fight under such conditions?’ And when he was told that it was so, he said: ‘Why was I never told about this before?’”. During the Somme Offensive, the British has suffered 420,000 casualties. The French lost nearly 200,000 and it is estimated that German casualties were in the region of 500,000. Allied forces gained some land but it reached only 12km at its deepest points. Haig wrote at the time: "The results of the Somme fully justify confidence in our ability to master the enemy's power of resistance." Gary Sheffield claims that “Haig actively promoted the methods and technologies that eventually helped break the deadlock - new tactics, machine guns, effective training, airpower, artillery, tanks and the like. In my book I argue that Haig's role in the transformation of the British army from the clumsy amateur force of 1916 to a superb instrument of war in 1918 was his greatest achievement.” However, an article written by Haig in 1926 suggested that he never fully grasped the lessons of the First World War: “I believe that the value of the horse and the opportunity for the horse in the future are likely to be as great as ever. Aeroplanes and tanks are only accessories to the men and the horse, and I feel sure that as time goes on you will find just as much use for the horse - the well-bred horse - as you have ever done in the past." There is no doubt that Blackadder has reinforced the idea of a war where “lions were led by donkeys”. It is part of a tradition that dates back to the statement entitled, Finished With War: A Soldier's Declaration, made by Lieutenant Siegfried Sassoon on 15th June 1917: "I am making this statement as an act of wilful defiance of military authority because I believe that the war is being deliberately prolonged by those who have the power to end it. I am a soldier, convinced that I am acting on behalf of soldiers. I believe that the war upon which I entered as a war of defence and liberation has now become a war of aggression and conquest. I believe that the purposes for which I and my fellow soldiers entered upon this war should have been so clearly stated as to have made it impossible to change them and that had this been done the objects which actuated us would now be attainable by negotiation." Considered to be recklessly brave, Siegfried Sassoon acquired the nickname "Mad Jack" during his two years serving on the Western Front. In June 1916 he was awarded the Military Cross for bringing a wounded lance-corporal back to the British lines while under heavy fire. Later he was unsuccessfully recommended for the VC for capturing a German trench single-handedly. After being wounded in April 1917, Sassoon was sent back to England and while recuperating in hospital decided to write this statement. With the help of his friend Bertrand Russell, Sassoon arranged for a sympathetic Labour Party MP to read out the statement in the House of Commons in July 1917. It was also published by Sylvia Pankhurst in her newspaper, The Woman's Dreadnought. Instead of the expected court martial, the under-secretary for war declared him to be suffering from shell-shock, and he was sent to Craiglockhart War Hospital, near Edinburgh. During his three months there he became friends with the young poet Wilfred Owen, whom he encouraged and helped to write poetry. Sassoon also resumed his friendship with Robert Graves, who was also suffering from shell-shock at the time. The two men had been lovers while serving in the trenches together and planned to live together after the war. When it was clear that the Finished With War: A Soldier's Declaration was being ignored by the general public, the three men decided to concentrate on writing poetry. Robert Graves's Fairies and Fusiliers (1917) and Siegfried Sassoon’s The Old Huntsman (1917) and Counter-Attack (1918) were largely ignored by both critics and the general public. In the final stages of the war it was considered unpatriotic to discuss the reality of war. Wilfred Owen, who had been killed by machine-gun fire while leading his men across the Sambre Canal on 4th November 1918, had only had five poems published while he was alive. In 1920, Siegfried Sassoon, who was now working as the literary editor of The Daily Herald, arranged for the publication of Owen’s Collected Poems in 1920. Isaac Rosenberg, who had also been killed during the war, had his poems published in 1922. However, like those books of poems by Sassoon and Graves, they were received in almost complete silence. No one wanted to be told about the futility of war. Instead they were waiting for David Lloyd George to build a “country fit for heroes”. Charles Montague, a journalist working for the Manchester Guardian, was 47 years old in 1914. Like his editor C. P. Scott, Montague argued in the summer of 1914 against Britain becoming involved in a war with Germany. However, once war had been declared, Montague believed that it was important to give full support to the British government in its attempts to achieve victory. Montague wrote to Scott: "I have felt for some time, and especially since I have been writing leaders urging people to enlist, a strong wish to do the same myself. I wrote last week to the War Office to ask if there was any chance of getting over the difficulty of my few years over the limit of age, and I was told that although the War Office could not directly break the rule itself, it did not veto exceptions made by those responsible for the raising of new battalions locally." Montague spent two years in the trenches but in 1916 he was promoted to the rank of second lieutenant and transferred to Military Intelligence. For the next two years he had the task of writing propaganda for the British Army and censoring articles written by the five authorized English journalists on the Western Front (Perry Robinson, Philip Gibbs, Percival Phillips, Herbert Russell and Bleach Thomas). He also took important visitors for tours of the trenches. In 1922 he published his book on the war, entitled Disenchantment (1922). This passage should be sent to Michael Gove: "The freedom of Europe, the war to end war, the overthrow of militarism, the cause of civilization - most people believe so little now in anything or anyone that they would find it hard to understand the simplicity and intensity of faith with which these phrases were once taken among our troops, or the certitude felt by hundreds of thousands of men who are now dead that if they were killed their monument would be a new Europe not soured or soiled with the hates and greeds of the old. So we had failed - had won the fight and lost the prize; the garland of war was withered before it was gained. The lost years, the broken youth, the dead friends, the women's overshadowed lives at home, the agony and bloody sweat - all had gone to darken the stains which most of us had thought to scour out of the world that our children would live in. Many men felt, and said to each other, that they had been fooled." The reception of Montague’s book was little different from that of the war poets. The change in consciousness towards the war began in December 1928 with the first production of Journey's End. The play had been written by Captain R. C. Sherriff, who had been severely wounded at Ypres in 1917. It had been turned down by most of the theatres in London and only appeared after the intervention of George Bernard Shaw. As his biographer, John Courtenay Trewin, points out: “Journey's End, a play based upon his letters home from the trenches, in the new year of 1929 he became one of the most discussed English dramatists of the day…. The play is set entirely in a claustrophobic dugout before St Quentin on the eve of the March offensive of 1918. Sherriff, who always favoured naturalism in theatre, had sought to give no more than a straight, simple impression of the terrors of the western front in a play written with so much honesty - no heroics, no pretence - that its characters stamped themselves upon the English theatre of their time.” The play was a great success and there were 594 performances in London. It was also translated and performed in every European language. The success of Sherriff's play opened up the way for other soldiers to write about their experiences in the First World War. Publishers now became interested in publishing books on the subject of trench life. In 1929 saw the publication of Goodbye to All That by Robert Graves. It immediately became a best-seller and along with the publication of Erich Remarque's All Quiet on the Western Front (1929), Siegfried Sassoon's Memoirs of an Infantry Officer (1930), Frank P. Crozier's, A Brass Hat in No Man's Land (1930), Frank Richards's Old Soldiers Never Die (1933) and Guy Chapman's, A Passionate Prodigality (1933), helped to change the public consciousness of war and popularised the notion of “lions led by donkeys”. Compare that to this passage concerning an attack where the battalion suffered very heavy casualties. Only three junior officers, Choate, Henry and Hill survived. Hill told me the story. The Colonel and Adjutant were sitting down to a meat pie when Hill arrived. Henry said: "Come to report, sir. Ourselves and about ninety men of all companies." They looked up. "So you have survived, have you?" the Colonel said. "Well all the rest are dead. I suppose Mr. Choate had better command what's left of 'A'. The bombing officer (he had not gone over, but remained at headquarters) will command what's left of 'B'. Mr. Henry goes to 'C' Company. Mr. Hill to 'D'. Let me know where to find you if you are needed. Good night." Not having being offered a piece of meat pie or a drink of whisky, they saluted and went miserably out. The Adjutant called them back, Mr. Hill, Mr. Henry." Hill said he expected a change of mind of mind as to the propriety with which hospitality could be offered by a regular Colonel and Adjutant to a temporary second lieutenant in distress. But it was only: "Mr. Hill, Mr. Henry, I saw some men in the trench just now with their shoulder-straps unbuttoned. See that this does not occur in future." Although the writers that have promoted the idea that the First World War was a case of “lions led by donkeys” such as Robert Graves, Siegfried Sassoon, Guy Chapman, and the writers of Blackadder (Richard Curtis, Rowan Atkinson and Ben Elton), all went to public schools, their intention was to show the war from the point of view of the “Tommy”. That has not always been the case. When I first started teaching in 1977 this point of view was not used in the history textbooks that were in my school. That is why the first teaching booklet I produced was Contemporary Accounts of the First World War that included the two passages from Goodbye to All That quoted above. This approach only became the norm after the introduction of the GCSE history curriculum in 1986 and reinforced by the History National Curriculum in 1988. Both reforms introduced by a Conservative Party government. However, as Robert Phillips pointed out in his book, History Teaching, Nationhood and the State (1998), that this was not what they wanted to happen. Michael Gove is clearly unwise to tell history teachers not to use Blackadder in the classroom. Teachers will clearly not take any notice of these instructions. What is more, they might think more deeply about this and other subjects they teach. I agree that what goes on in the classroom has political consequences. Has the showing of Blackadder had an impact on recruitment into the armed forces? If so, is that a good or bad thing? What I do know, is that a fully informed citizen, is better prepared to deal with government propaganda. If those young men, like my grandfather, John Edward Simkin, who joined the British Army on the outbreak of the war and killed the following year on the Western Front, had been educated in the classroom to question those in authority, would they have volunteered their services to protect the nation from “German militarism”?